Did you know that 81% of deaths related to engine-driven tools were from generators, according to cpsc.gov? Knowing how to properly use a generator, especially during emergency situations, is a matter of life and death in as little as 5 minutes. Portable generators produce concentrated levels of carbon monoxide which is the most common reason as to why people die from these engine driven machines. It’s similar to leaving your car running in a closed garage. That’s why it is so important to run them in open outdoor spaces. When your run your portable generator, be sure to keep it dry. That means not to run it while it’s raining unless you have properly covered and vented it. Before refueling your generator, make sure you turn it off and have let it cool a little before pouring the gas in it–similar to when you fill up your car’s gasoline tank. You can plug your appliances directly into your generator; however, if you’re using an extension cord, make sure it’s rated in watts or amps and is heavy duty free of fray’s. If you try to plug your generator directly into an outlet, back feeding, then you run the risk of electrocuting your neighbors or utility workers. You could also end up frying some of your electronics. 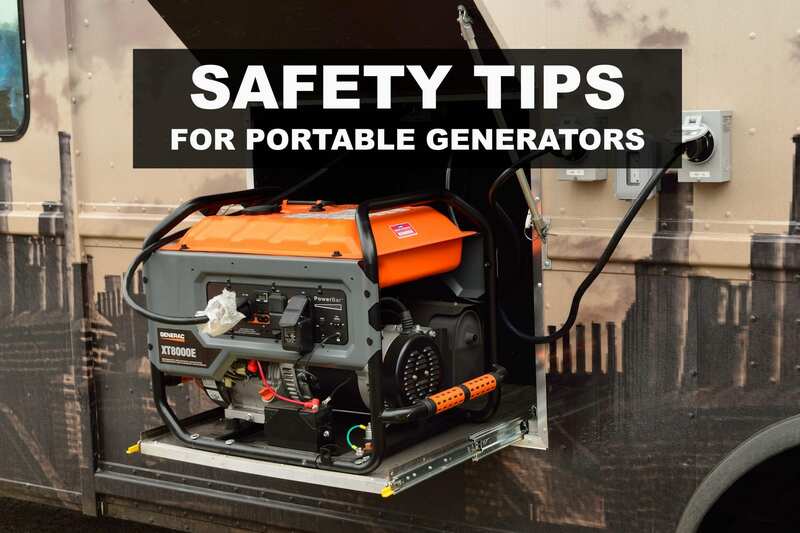 It’s important to remember that portable generators are engine-driven tools that run on fuel and output carbon monoxide. With that being said, carbon monoxide deaths due to these machines along with several other accidents and mishaps are avoidable as long as you use them responsibly. 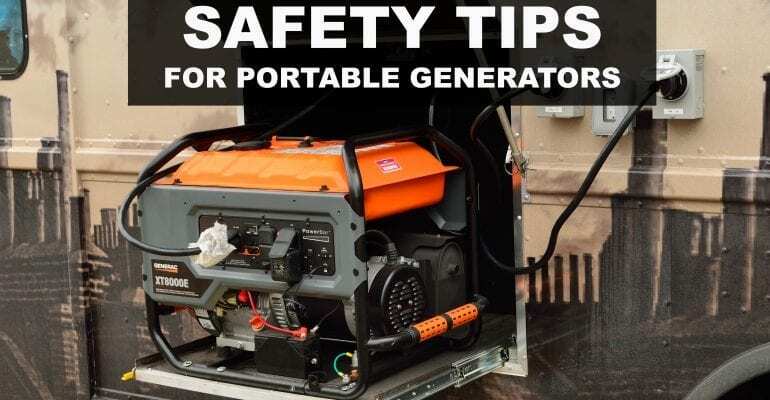 For more information on how to keep your family and home safe when using a portable generator, check out this resource from Osha.gov.